When it comes to outdoor playgrounds, the Northern Territory must count as one of the biggest. 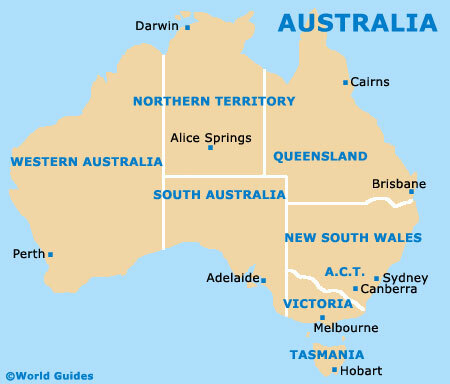 It is the most sparsely populated area of Australia, so there really are a lot of wide-open spaces. In fact, it pretty much fits in with most people's picture of Australia, usually gleaned from the movies or history books. In some ways, there are two sides to the Northern Territory. Head off the beaten track and there is the vastness of the Tanami Desert, once the final frontier of the wild and unexplored Northern Territory landscape. Out there, you may very well encounter some animal or insect you are not supposed to touch. There probably won't be another car for miles either, and it is wise to keep an eye on the weather in case a tropical storm should strike. Sticking to the well-worn tourist path is a safer option and, because of the sheer enormity of the place, it is almost impossible to feel overcrowded. The outback town of Alice Springs might have grown since its early days as a telegraph station, but you are still a long way from anywhere. It is easier to feel the remoteness of it all, perhaps, in Tennant Creek, which began as a gold mining town and today serves local cattle stations that operate on a truly monumental scale. The capital city of Darwin seems to sum up the Northern Territory quite nicely. Almost half of the people who live here arrived relatively recently in the grand scheme of Australia's history. This might account for the fact that the city has something of a transient feel about it. All tourist tracks in the Northern Territory ultimately converge on one place, Ayers Rock. It is worth taking your eyes of the famous red sandstone rock for a moment, if only to admire the natural attractions of Uluru-Kata Tjuta, the national park in which Ayers Rock is situated. The area is of great sacred significance to the aboriginal Anangu people who officially own the park.